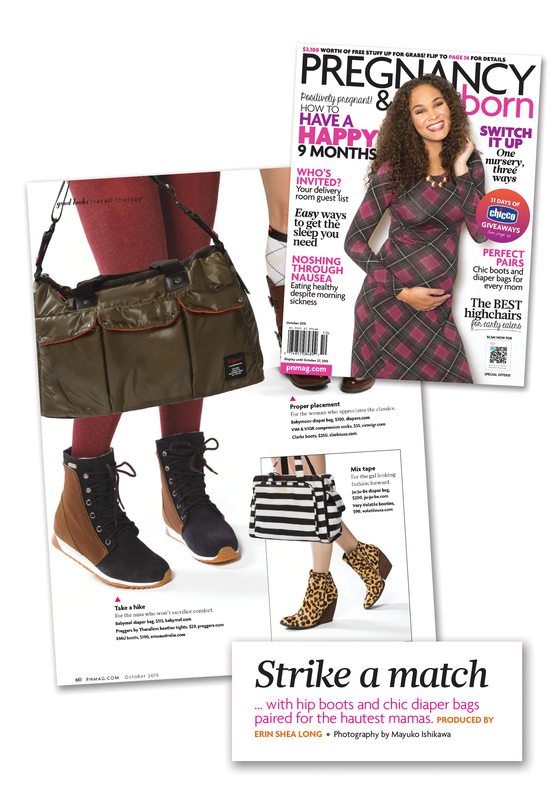 Brand new Patterned Core-Spun Compression Socks by Therafirm (makers of Preggers) are featured in the January 2017 issue of Pregnancy & Newborn. Sweet and feminine Thin Line socks are super cute and super comfortable. Be fashionable AND healthy in the New Year! Thanks P&N for introducing your readers to benefits of Preggers and Therafirm legwear! Are you having any trouble coming up with a name for your baby? Perhaps you’re inspired by this year’s Presidential election. There is no denying that Hillary Clinton and Donald Trump – love them or hate them – have made waves this election and throughout their lives. There is no doubt that we’ll probably see some Donalds and Hillarys sprouting up, but maybe these two are a little too polarizing for your taste. How about trying a presidential classic instead for your sweet baby boy or girl? Abigail – Abigail Adams was the wife of 2nd President John Adams. Her life is one of the most documented of all of our first ladies. She and her husband exchanged more than 1100 letters over their lifetimes. Their letters documented life during pivotal moments of our counties history, including the American Revolution. They were the first Presidential couple to reside in what is now known as the White House. Anna/Hannah – This one has been popular among Presidential spouses. Although technically not a first lady, since she died before her husband was president, Hannah Van Buren was the wife of our 8th President, Martin Van Buren. Anna Harrison was First Lady for only one month during the short tenure of her husband, William Henry Harrison. Anna was also the formal first name of First Lady Eleanor Roosevelt. Caroline – Caroline is a sweet classic that is gaining in popularity. Probably not because of First Lady Caroline Harrison, however. Mrs. Harrison was President Benjamin Harrison’s first wife. She died of tuberculosis in the White House during her husband’s presidency. Four years later he married his late wife’s niece, Mary Dimmick. Jacqueline – Every time I see this one, I think of the classic poise and grace of Jacqueline Kennedy. At 31, Mrs. Kennedy was the third youngest woman to serve as First Lady behind Frances Cleveland and Julia Tyler. Kennedy – The Kennedys inspired their generation with hope and courage for the future. Traditionally a last name, Kennedy has made a popular first name in recent years. McKinley – McKinley seems to be one that is gaining in popularity of recent years. You can choose McKinley as a nod to former President William McKinley, who was the last US President to have served in the Civil War. He was also the third of four to be assassinated, following Abraham Lincoln and James Garfield and preceding John F. Kennedy. Taylor – Taylor is a very popular name for little girls these days, especially with the popularity of singer Taylor Swift. President Zachary Taylor served as our 12th President. President Taylor attended a very hot 4th of July celebration in 1850 at the Washington Monument, which was under construction. While there, he had some cherries and cold milk, followed up by several glasses of cold water trying to beat the heat. Five days later, President Taylor died of an unknown intestinal ailment, that was probably a case of cholera contracted from a bacteria present in either the milk or water he drank. Franklin – Franklin Pierce and Franklin Roosevelt were two presidents that held this name. Franklin Roosevelt was the only President to serve more than two terms. Elected four times, President Roosevelt served three terms and died of a stroke four months into his fourth term. He guided the country through the Great Depression and World War II and gave a famous speech after the bombing of Pearl Harbor. The name might seem a little old fashioned, but provides an adorable nickname in Frankie. Grant – Grant is a popular classic for boy’s names. It never seems to get old. President Grant served from 1869-1877. He was a general during the Civil War. In 1865, Confederate General Robert E. Lee surrendered to General Grant at the McLean House in Appomattox Courthouse, Virginia. James/Jimmy – More presidents (6) have carried a form of the name James than any other first name. They include James Madison, James Monroe, James Polk, James Buchanan, James Garfield and Jimmy (James Earl) Carter. Lincoln – You can’t go wrong with ever-favorite President Lincoln for your child’s name inspiration. He made a lasting impact on this nation signing the Emanicipation Proclamation and serving during the Civil War. He was shot by John Wilkes Booth at Ford’s Theater in Washington, D.C. on April 14, 1865 and died the next day. Pierce – We thought this one was a strong sounding name and very presidential. Franklin Pierce served as president during the 1850s. Pierce was also the maiden name of First Lady Barbara Bush. Theodore/Teddy – President Theodore Roosevelt went by the nickname Teddy. Roosevelt became president when President William McKinley was assassinated. He established the National Park Service, oversaw construction of the Panama Canal and expanded the United State Navy. Thomas – Thomas Jefferson served as third president, but also wrote the Declaration of Independence, forever immortalizing these words: “We hold these truths to be self-evident, that all men are created equal, that they are endowed by their Creator with certain unalienable Rights, that among these are Life, Liberty and the pursuit of Happiness.” Few presidents have been as insightful and eloquent as Jefferson. Truman – Take a stroll through Independence, Missouri and you’ll walk in President Harry Truman’s footsteps. It’s easy to fall in love with the simple grace with which President Truman and his wife Bess lived. It’s too bad more of today’s politicians are not more like the Trumans. Tyler – John Tyler was the 10th President of the United States. He is one of several Presidents to have come from the state of Virginia. Having married twice, Tyler was the father of 15 children – more than any other President. Greetings, Preggers mamas and welcome to our Preggers.com 3-year anniversary celebration!! That’s right! Three years ago today we launched our new website – or as we like to say our “baby” was born! Having a baby and launching a website are similar in a lot of ways, really. You painstakingly designed your little one’s nursery, making sure every detail is perfect. That same love and toil went into designing our webpages and making them look just right. You picked out high chairs, strollers and pack ‘n plays, obsessed over books, toys and bottles and read all the baby books and websites. We spent time creating miles and miles of code to ensure our pages were functional and easy for you to use. You lovingly selected sleepers and onesies for your little one to wear. You washed and dried them and organized them in the closet just waiting for your little girl or boy to come into the world and wear them. We uploaded mountains of product data into our website and scoured through all of it to make sure it was correct. And finally, you journeyed to the hospital, labored and gave birth to your precious bundle of joy. Our “labor of love” ended with the final click of the launch button making our “baby”, Preggers.com, live on October 23, 2013. We remember the day fondly – it was a beautiful fall day, crisp and clear here in Kansas City. The last three years have been fun, but not without plenty of growing pains, just like any other “baby”. But, also like real babies, there have been plenty of happy milestones. And now we have a three-year-old! And just like any three-year-old, we know that there will be challenges that lie ahead. We’re only hoping Preggers.com won’t flush our jewelry down the toilet or engage in a game of hide and seek during our weekly grocery trips! LOL! But there will be great moments, too – like when she gives you the sweet handmade card for Mother’s Day or when he learns to write his name or you get through dinner without force feeding her vegetables! Okay, so we know Preggers.com won’t do these things, but I’m sure by now you’re following where we’re going. Has the crisp, fall air made it to your part of the world yet? It has made it here and I am so happy to be able to pull out those fall fashions! Is your maternity wardrobe ready for fall? No fall maternity wardrobe would be truly complete without Preggers gradient compression hosiery and support products. Try some of these styles on for size! Our Preggers Trouser Socks are perfect for the working mama-to-be. Whether your workplace is business casual or professional, these socks are a classy addition to your work outfit. Wear a pair of them with your classic black maternity slacks and a high-waisted maternity blouse and you’ll be ready to tackle the business world. The gradient compression will keep your legs feeling great all day and help your feet from getting too swollen. Slip on a pair of your favorite heels and finish up the look with a long necklace and a cute coordinating bag. Make our Preggers Leggings one of your go-to maternity fashion goals! They are the perfect must-have for fall. The thicker material will add a little warmth, while also keeping your legs feeling great. Hold onto your favorite tunics from the summer and layer it with a patterned cardigan. Add bright colored jewelry and a coordinating bag to give it some pop, and round out the look with your favorite pair of ankle boots. A little extra support is always nice. And, since your bump will continue growing, you’ll soon feel the need to add that extra support to your wardrobe – naturally!! A Preggers Maternity Support Band discreetly gives that support under any outfit. This fall, wear one under a cute pair of maternity jeans and some layered tunics or sweaters. Finish up with a comfortable pair of flats and you’re ready for whatever this fall throws at you! Perfectly comfortable. Perfectly natural. August is National Breastfeeding Month in the US. Breastfeeding is one of the hot triggers in the so-called Mommy Wars, and even in the mainstream news with women across the country banned from feeding their infants in certain public places. The differences in opinions, as well as such strong opinions from every viewpoint and angle, got me to thinking about how we have viewed breastfeeding as a society over time. The history is very interesting and eye-opening. Science and common sense will tell you that humanity and breastfeeding have gone hand in hand throughout time and was once a necessity for infant survival, but as any modern lactation consult can attest to, breastfeeding is not without its challenges. This is not a new fact that has developed as we developed, but one that has always been part of the process and experience. So, what did our ancestors do to combat difficulties in breastfeeding? Some evidence suggests that various natural remedies were used to stimulate lactation, but the easiest and most common solution was to hire a wet nurse. A wet nurse is a woman who cares for and breastfeeds another woman’s child. The practice developed as a solution to lactation problems or to feed infants whose mothers had died. Over time, many women in the upper classes of society began to see breastfeeding as unfashionable and an inconvenience. This lead to the rise in wet nursing as a respectable occupation, especially for poorer women. Roman citizens even preferred Greek wet nurses, as they that babies fed by Greek nurses would have an easier time learning Greek, as well as Latin. For centuries, wet nursing was a well maintained practice, most especially in Western Europe and the practice was even used in the American colonies and the early years of the United States. Around the time of the American and French Revolutions, some began to worry that wet nursing was unnatural and led to high mortality rates among newborns. Physicians, scientists, those in the legal system and even popular writers began to encourage mothers to nurse their own children. The romanticized viewpoint became one of mothering by getting back to nature. This, however, did lead to the idea that a woman’s place was at home, and these early new governments were set up with women having little to no political rights. Breastfeeding or wet nursing maintained as the way to feed infants, however, until the rise of infant formula and bottle feeding. In 19th Century America, mothers started feeding babies cow’s milk leading to a decline in breastfeeding. Cow’s milk, which was nutritionally inferior to breast milk, oftentimes lead to infant death. Scientists began to analyze human milk, and to create and improve upon nonhuman milk sources, so that they were more in line with human breast milk. In 1865, a chemist named Justus von Liebig patented the first infant formula that was made of cow’s milk, wheat and malt flour and potassium bicarbonate. This, along with the development of an infant feeding bottle, lead to a further decline in breastfeeding, although not completely as the new formula was somewhat expensive. By the 1950s, however, new advances in formula making and government regulation, lead to breastfeeding being seen as unsanitary and almost taboo. By the 1970s, more and more women began to enter the job market leading to an even further decline in breastfeeding, as it is now difficult and inconvenient for women returning to work after having babies. Infants were typically only fed formula until they reached four to six months old and then switched to cow’s milk. Concerned about the lack of proper infant nutrition, the World Health Organization offered a little pushback suggesting that the Western fashion of formula feeding is being diffused to the rest of the world. Taking note of the severe decline and concern over infant nutrition, the US government releases numerous reports advocating for breastfeeding and its advantages. The U.S. Department of Health and Human Services established the first ever national health objective for breastfeeding establishing a goal to increase breastfeeding to 75% by 1990. In 1980, the Infant Formula Act, which regulated infant formula to ensure the safety and nutrition, is signed into law by President Jimmy Carter. In addition to increased health and safety regulations by the government, the increases in Internet usage and other technologies during the Information Age, allows the general population to easily access information about breastfeeding and many other subjects. As a result, breastfeeding rates rose throughout the 1990s and 2000s. One stumbling block women still faced in this new century was returning to work after having a baby. Breast pumps are affective in pumping milk for caretakers to feeding infants when their mothers can’t, but they can be very costly. On March 23, 2010, President Barack Obama signed into law the Affordable Care Act. One element of this new healthcare act was that insurance companies were mandated to cover breast pumps for lactating women. Thankfully in today’s world, breastfeeding has been made to be easier for mothers and formula feeding has been made to be healthier and more nutritious for babies than in the past. BOTH have become good options for families. Whichever option results in a healthy and fed baby and a stress-free experience for both mom and baby is the right option to choose. But for mamas choosing to breastfeed, be sure to refer to these helpful tips to help you get started on the right foot https://blog.rupreggers.com/2015/08/13/7-breastfeeding-tips-for-national-breastfeeding-month/ . Beginning of Human History – Breastfeeding necessary to infant survival. Wet nurses employed to feed infants of women who have died or cannot breastfeed. BC Era to 1700s – Wet nurses employed to feed the children of upper class society. Becomes a respectable profession. 1700s – Shift in thinking romanticizes breastfeeding leading some mothers to nurse their own. 1800s – Mothers begin to feed infants cow’s milk as an alternative to breastfeeding. 1865 – First infant formula is patented. 1950s – Government regulation in formula leads to breastfeeding seen as unsanitary. 1970s – Women begin to enter job market further declining breastfeeding rates. 1980 – Infant Formula Act passed regulating safety and nutrition of formula. 1980s – Government push to increase breastfeeding. 2010 – Affordable Care Act signed into law requiring insurance companies to cover breast pumps.